Get instructions for the Monarch Butterfly windup toy below! 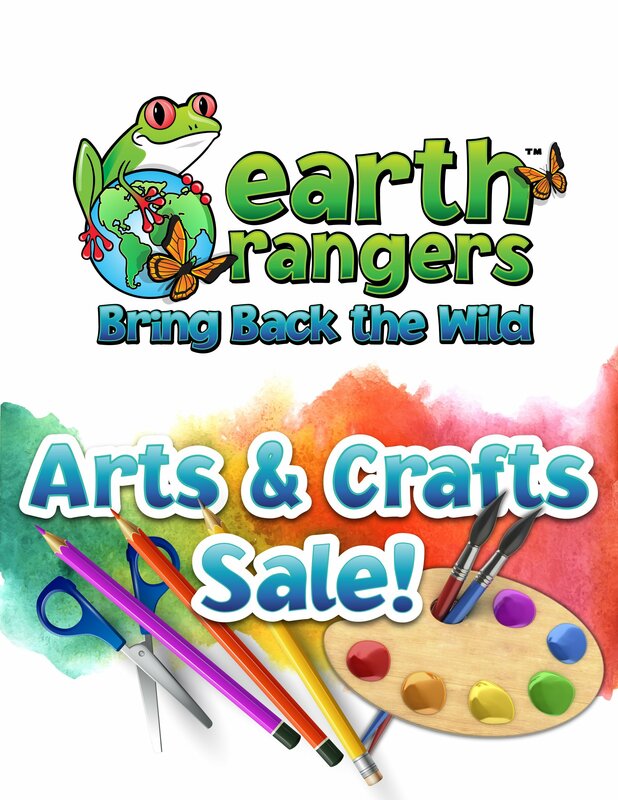 Get creative and host an arts and crafts sale! Start by creating your very own one-of-a-kind pieces like paintings, drawings, jewelry, bookmarks or keep sakes, then organize a time and place for your friends and family to purchase your amazing works of art. You could even create one incredible piece of art and hold an art auction or raffle. Step 1: Unfold both of your paper clips so they’re straight. Step 2: Take one of the paper clips and grasp it at the center with the pliers. Bend the wire around the pliers making a loop. You want to make sure the loop is in the middle and not off to one side. Step 3: Bend the two ends of the wire downward so that the ends and the loop are on a 90 degree angle. Step 4: Grasp the end of one side of the paper clip with the pliers and bend it outwards. Next, use the pliers to grasp the wire just before the bend you just made and bend it inward. Do the same with the other side. Step 5: Take the second paper clip and grasp it at the center with the pliers. Bend the wire around the pliers making a loop. Step 6: Make your butterfly wings. You can use this printout, or you can make your own using contrition paper and markers. Step 7: Attached the bottom wings to the first paper clip and attach the top wings to the second paper clip. You can use glue, tape, staples, whatever works for you! Step 8: Pull the elastic through the loop and stop when it’s halfway through. Step 9: Feed the elastic band and the loop of the second paper clip through the loop of the first paper clip. Stretch the elastic band down to the bottom of the first paper clip, hooking it around the bent ends. There should be some tension in the elastic, but it shouldn’t be so tight that you can’t twist it. Hold the bottom piece with your fingers and twist the top piece until there is a lot of tension on the elastic band without breaking it. Next hold the butterfly by the joint (the part where the two paper clip loops are) and when you’re ready, throw it into the air and watch it fly away! I really like doing crafts. I do a lot at home.I will try my best.